OpenLedger shows its support for growth in the blockchain industry by joining forces with innovative projects that further fuel the mainstream adoption of cryptocurrency around the world. Scorum is one of them. Bringing together the socially engaging aspects of sports blogging, the growing fantasy sports audience (beta ready), up-to-the-minute stats (beta ready), and zero-fee peer-to-peer betting in one sleek user interface, Scorum has the potential to usher in a new era of sports entertainment. Scorum has already reached its soft cap and its active and highly engaged community is looking forward to the upcoming launch. These prominent world athletes are already in: NHL All-Star Nikita Kucherov, UEFA Champions League Winner Alexander Hleb, NBA Champion Timofey Mozgov and many others! OpenLedger´s CEO and founder Ronny Boesing introduced our partnership with Scorum at the CoinsBank Blockchain Cruise Asia last month. 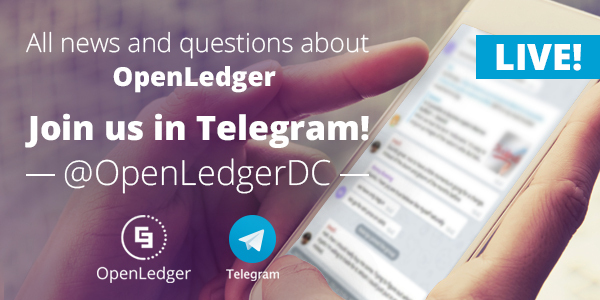 Our partnership started with OpenLedger holding, in escrow, the funds raised in the public crowdsale. Ronny has also joined the Scorum advisory board. For the partnership to go on forward, OpenLedger has already listed Open.SCR on the exchange to offer the OpenLedger and BitShares community another avenue to purchase SCR tokens without registering on Scorum’s website for the crowdsale. Open.USD is paired with bitUSD and the sell order will be locked at 1 bit.USD until the end of the Scorum crowdsale on February 11. Join in and score some free SCR by sharing your affiliate links!